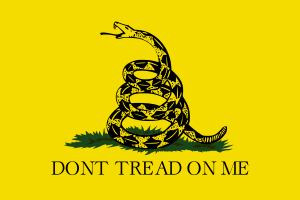 I am a fan of the principles of the Tea Party movement. I joined the Tea Party Patriots early on, went to the Tax Day Tea Parties here in Atlanta, and went to both the 9/12 rallies in DC. I even took a couple of the grassroots workshops and went to the Leadership Institute for a week-long class in campus organizing and other grassroots basics. I wrote for and hosted The Pursuit of Happiness Radio show on Blog Talk Radio for three years, and then began contributing and co-hosting for my friend Stacy Swimp on Contagious Transformations, using all those platforms to promote the premises the Tea Party organizes around. In other words, I am a believer in limited Constitutional government, and I put my time and talent where my beliefs are. Two years ago though, in the run up and aftermath of the 2012 Presidential elections, I began to pull back, and I didn’t quite know why. I was not discouraged, but I grew disquieted with this movement I had become so engaged with. This week’s election coverage finally illuminated that disquiet. Slowly over the course of the last several years, many within the Tea Party movement have become what they claim to despise: complainers manipulating people’s anger and fear instead of putting forth solutions. In all their training, they read the playbook for the other side and adopted the strategies they thought would help them to succeed. Instead, those strategies came with the same stridency, arrogance and mindless crudity we see from the typical Washington crowd. However, it is even worse, because there was one lesson we failed completely to learn from the opposition that allows them to win elections and be taken seriously on the national stage. We never did quite learn not to eat our own. One of the biggest complaints from my Tea Party friends I have heard over the last several months is that the GOP establishment does not take us seriously. My friends, we used to know that being taken seriously is something you earn, not something you demand. Right now, the Tea Party grassroots base is not only not earning the right to be taken seriously by Washington, DC, it is giving the establishment politicians every reason to smugly and comfortably dismiss us as ineffective, unreasonable fools. Why do I say this? In the last week I have seen headlines and comments from my Tea Party friends denouncing Paul Ryan and Chris Christie as RINOs and traitors. We vilified and tore down Marco Rubio last year during the immigration debates. There have been countless others over the last two years. We shredded them not because they committed some heinous crime, not because they were embroiled in some kind of scandal, not because they have proven themselves dishonorable, but because on some issues they don’t agree with some of us. This would not be so terrible, except for one small problem that demonstrates just how unserious, fickle and lacking in integrity the grassroots of the Tea Party can be. Paul Ryan was one of the top picks among Tea Party members for President during the 2012 cycle. It was Tea Party excitement over Chris Christie’s stance on busting public unions and balancing the budget in New Jersey that catapulted him to national prominence in the first place. Marco Rubio was also a darling of the Tea Party and bandied about as a possible contender for the White House. We claimed these men for our own, and now we are shredding their reputations because we happen to disagree on one or two issues, even though they are still the same men they were when they were first elected or first came to our attention. We see this cult of personality type mentality constantly in the Tea Party, and then the head snapping about-face once someone actually steps up and leads. The latest example is Dr. Ben Carson. By the afternoon of hisspeech at the National Prayer Breakfast, there were already calls for him to run for President, and he became the new Tea Party darling. Really? Beyond the fact that the man knows how to give a good speech, and that the media pretended he had bashed the President to his face, how many of us actually knew anything about the man? We knew he was a neurosurgeon, but did we know if he had any background whatsoever in politics or government service? Did we know if he was a good man? Or what his positions on major issues were? Just as importantly, how long will it be before we turn on him because he doesn’t quite agree with us entirely on some issue, even though he is staunchly what we have defined in our own heads as “conservative” in every other respect? Please understand, I like Dr. Carson, his speech was admirable, from all I have heard, he is indeed a good man, but that’s not the point. I’ll be posting some of those ideas over the next several weeks. Since we are a movement that prides itself on independent thinking, it is my prayer that you’ll read this, and those thoughts, and take what will help you in your mission. Be blessed and be a blessing. Sorry, Tera, first time I didn’t bother reading the whole thing. Right or wrong, I just didn’t.